Summary: Over the past few years, there has been an increase in the number of reported work-related concussions. Almost 79 percent of the reported concussions were related to slips and falls, motor vehicle accidents, and strikes to the head. Common examples of strikes to the head include employees being hit by falling objects, such as boxes falling off shelving or falling debris or tools from height at a construction site. The average age at which concussions occur in the general population is 29-years old. Among workers, concussions usually occur among older teens, young adults, and older adults. With an increasing number of people choosing to retire at a later age, there has been an increase in concussions arising from slips and falls. Common causes of work-related concussions include slip and falls, falling objects, construction site conditions, motor vehicle crashes, and physical assault. With proper diagnosis and treatment, most patients who have mild concussions recover fully. In case of mild concussions, most cognitive issues resolve within a week. In more serious cases, the symptoms may linger for weeks or even months, making it difficult for the injured worker to carry on with their normal lives or return to work. Remove all tripping hazards. Clear work spaces and walkways of clutter, puddles of water, cords, or anything else that can cause the worker to slip, trip, or fall. 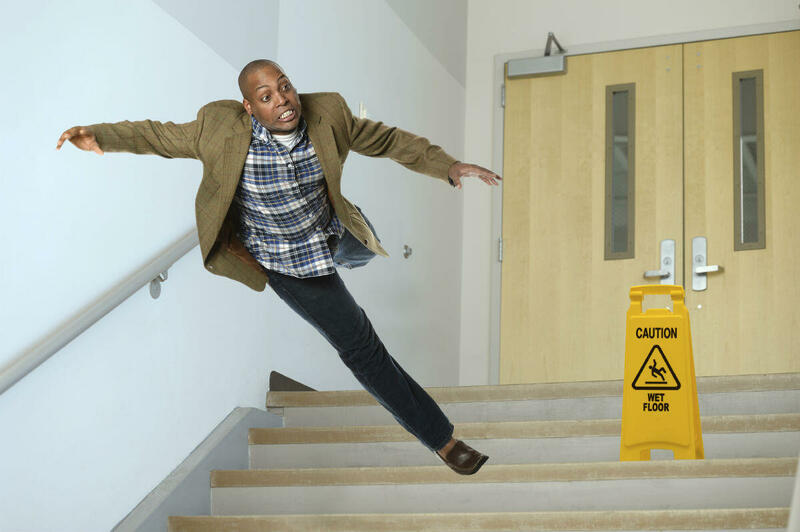 Use handrails when taking the stairs. Do not stand on chairs or tables. Use step stools only. Use proper signage to alert workers of wet surfaces. Use caution when working at heights. If a job requires wearing a hard hat or helmet, make sure it is properly fitted and in good condition. Workers who suffer a concussion may need prolonged treatment and care and may have to take an extended period of time off work. Workers' compensation benefits can provide for the worker’s financial needs. If you have been injured in a work-related accident and are not getting the benefits you deserve, contact a St. Louis work accident lawyer. Call The Law Office of James M. Hoffmann at (314) 361-4300 for a free consultation.